there’s been a few versions of me over the years, as i tried to belong to places and with groups of people i admired. 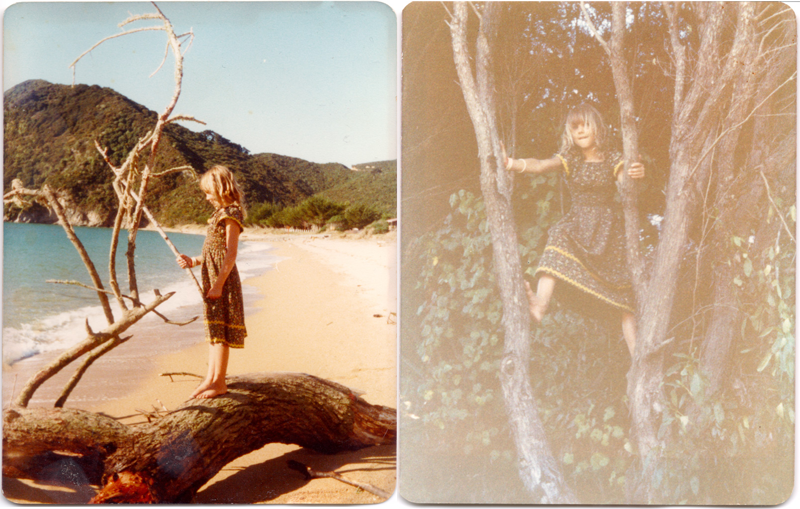 and, when i look at these photographs of me, doing my thing on the beach where i grew up, i see a version of myself that feels right and true. i would wear a dress, but not any shoes. and that didn’t stop me from climbing trees or doing anything else i wanted to do. live my life instead of a version of yours. I was thinking this morning about the need to take myself seriously. The way I take other people seriously. I think you and I are both bad at this because we’re so busy worrying about how everyone else is feeling. For the record…I take you very seriously. The you who is YOU and nobody else. It takes great courage to live this way. I thank Life for you. I’ve always loved your sense of adventure and love of visiting foreign places – giving us glimpses of your postcards. Just do you, honey. Your insatiable love of exploration really shines through.